Last week, when I shared the evolution of our home after the three years moving in, I shared this current photo below of our study. It’s at the very front of our house, directly to the right when you open the front door. It has a full wall of windows and although it’s small in size, it’s big on functionality. The biggest bang of functionality came mainly due to the desk we added in here about a year and a half ago when my workload for the blog and other projects I had taken on expanded and I really needed a place to work that wasn’t the dining room table for my laptop and the top of the microwave for paperwork. 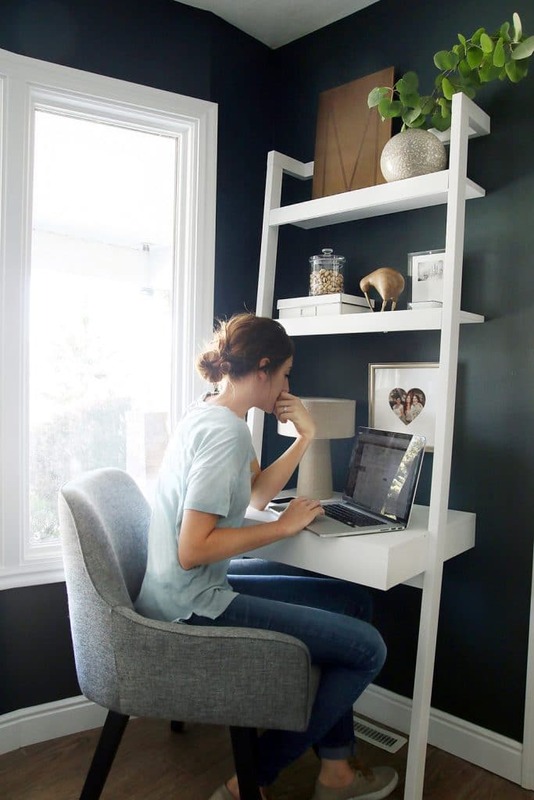 This wall is less than 40″ wide and holds everything I need for a day’s work, although we have visions of it one day being the family computer spot where Greta and Faye can do homework or….aol instant message? Ha! Right now, it’s my command center and I’m happily spilling all about it, and its recent refresh (my new chair swivels and it’s probably my favorite thing in the house right now) in collaboration with Crate & Barrel with a full tour (there’s even a look inside my drawer) over on their blog today. Click here to see more photos and details. It’s Clark + Kensington Pine Grove from Ace Hardware. I can’t find the small ladder Desk. Where did u get it? Where did you get the desk from??? I love it! Crate and Barrel. It’s link in the post. I’m intrigued that you work in a space so small. What’s your secret? Hey! Tell me about that table lamp next to your laptop. I love the proportions. Thanks! It’s sadly discontinued. It was from Crate & Barrel a couple years back. Love the wood shelves spanning the full wall. Did you guys build them yourselves? I am smitten and am planning to replace some skinny minny shelving next to our bed. We did! Check out this post. I love your little corner office! I have my eye on the desk and plan to make my own corner office soon. Aw haha. We love those things. We got them at CB2 last year, but it doesn’t look like they carry them anymore. Bummer! Can you share where you purchased the black and white buffalo plaid pouf? Thank you! Love this space you have created for…the whole family! It’s from Target last season. Where do you store your files? I love the idea of a small desk (I’m setting up a freelancing business from home) but definitely need more storage for paperwork. 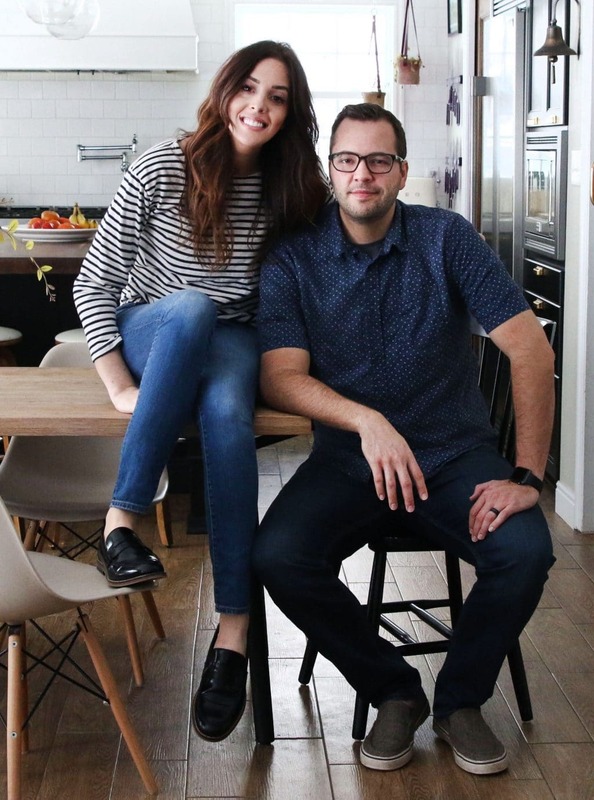 I talk about that in the Crate and Barrel article. I store them in that white paperbox on my desk shelf until it’s full. Then I bring them downstairs to our filing cabinet. Luckily, my work is more digital. The room is great, obviously. But your referencing that Cinderella song absolutely made my day! I work from home and can’t imagine not having an office space even if not a full blown office. I have a dedicated room as an office for two. I had purchased the Baxter indigo rug prior to you getting it and I was so excited. Ha! 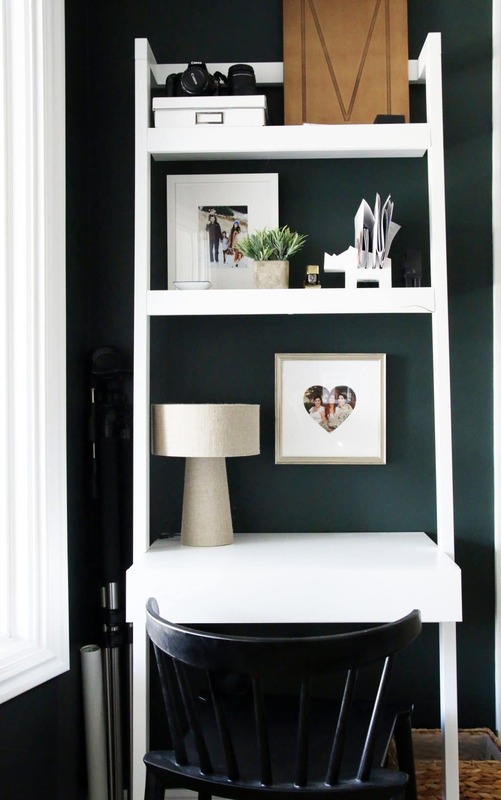 You are so good at selecting moody paint colors. 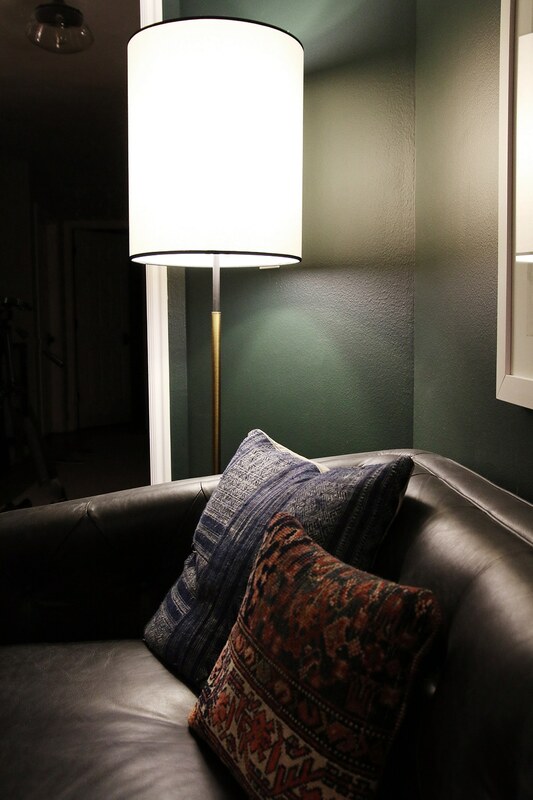 If you had to do an accent wall in your living room, what color would look good against the blue. 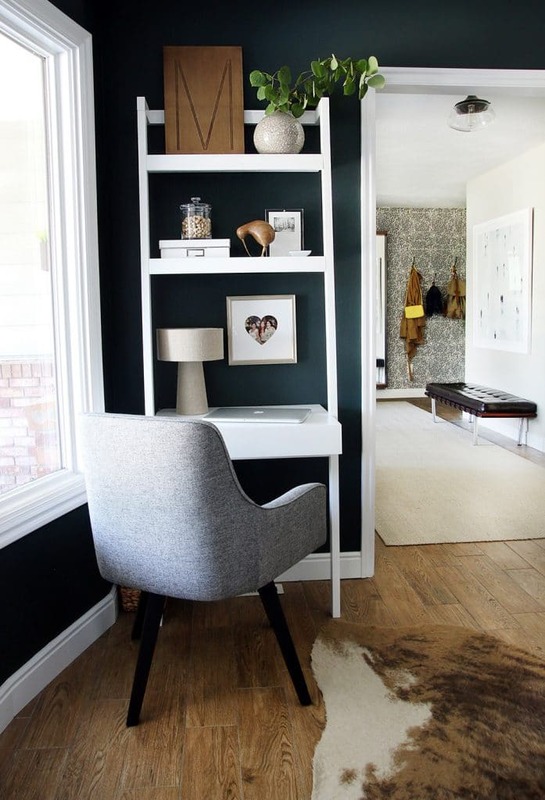 I have a entryway that is close by the living room and I want a moody accent color but you can see the indigo rug so I kinda want to complement it without going blue (Stiffkey blue by Farrow). I could but would it be too matchy match? You’ll be interested in the studio we’re creating downstairs. We went with a mac mini and we’ll be mounting monitors. I know what you mean. Different aesthetic, but I have a monitor in my office. This is the my favorite room in the entire internet universe. It does so many good things for me. It brought me to your blog. Sometimes I just keep it up on my second screen at work like a screen saver. 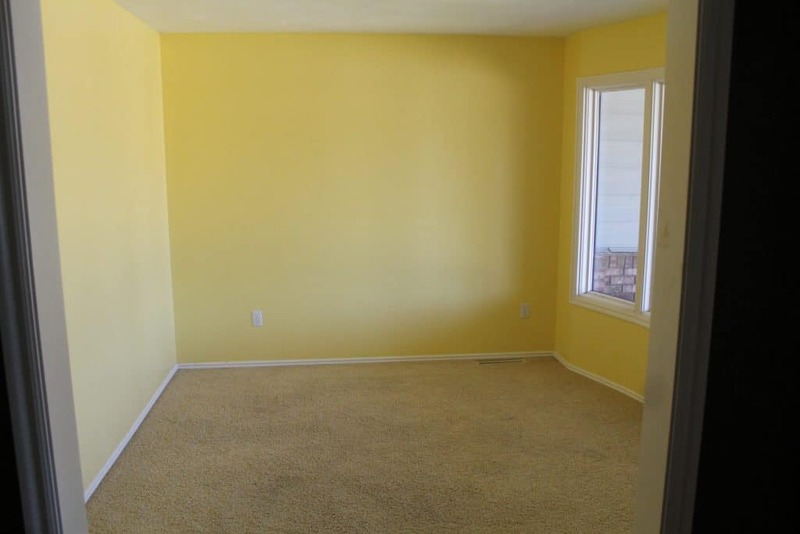 It is the velvety mac and cheese of rooms. I’ve been pondering almost daily how I could recreate it’s essence in my own house. 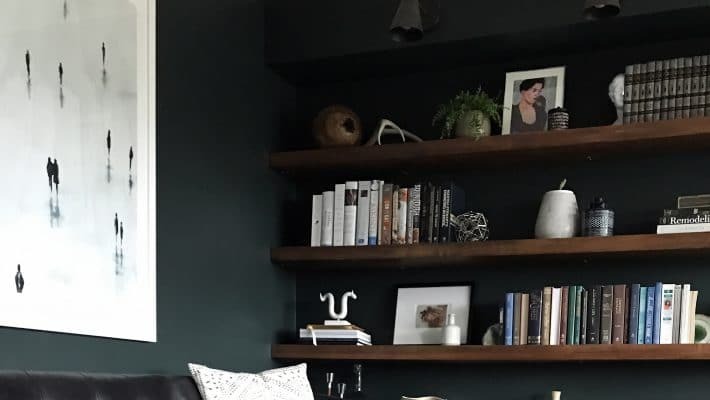 On a stranger note, your living room is also awesome, and I love the picture rail above the couch – but it is too low for me, and EVERY time I see it I get actual tightness in my chest from the anxiety it gives me. I’m way too invested here, I know! Have a good day. I love how often you’re posting. Might you considering setting more than 4 posts to appear on the front page? I missed checking in a couple of days last week, and the new(ish) were already on the second page (and further). I didn’t even realize until scrolling through and spotted them in the “You may also like…” section. Where’s the napkin holder inside the drawer from? I’m wondering why you guys didn’t make Faye’s nursery the new office? It seems like it would be so convenient being on the first floor still..do you guys have plans for that room yet? We’d love one more little babe (not pregnant) and that room is ideal for babies since it’s so close to our master. It looks great. Can that chair slide fully in so that it doesn’t stick out so much when not in use? It tucks in perfectly thanks to the low-slung arm rests. It’s a total dream. I love the gold letter from Crate and Barrel. I got it when you first posted and it was on mega sale and its one of my favorite accents. This room is fabulous!